How about having a Tesla-like touchscreen infotainment system on your regular car? 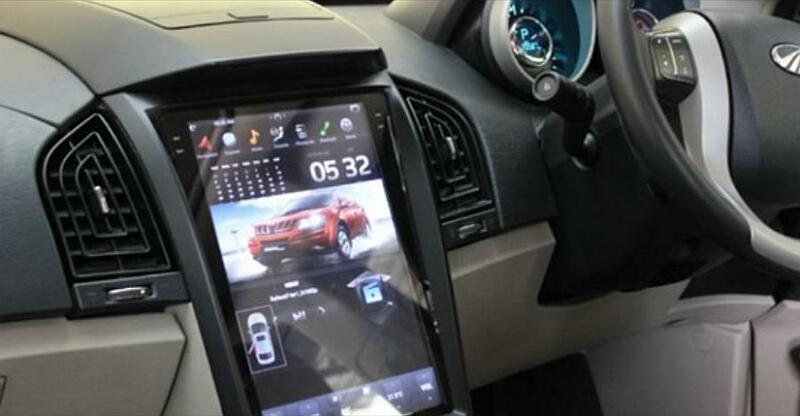 It’s now possible and an Indian company called Laxo Orbis now sells such a touchscreen infotainment system for the hugely popular Mahindra XUV500 SUV. The only thing that could hold you back from buying such a system is the eye-watering cost. Anything that has to remotely do with Tesla is very expensive, and so is this touchscreen infotainment system, which will set you back by Rs. 99,000. If you’re ok with the cost, you can pre-book by paying Rs. 9,999. Here is a video showing the cool accessory in action. The good thing about this Tesla-style infotainment system is that it is a plug and play device. It directly connects to the XUV500’s old CANBUS connector. What this means is you get to retain all the features of the stock XUV500’s infotainment system in a brand new Tesla-style. Cool, right? Currently, the XUV500 is a pretty loaded car in terms of infotainment functions. The stock vehicle’s system gets Android Auto, Connected Apps, Ecosense and Emergency Call assist, apart from tyre pressure monitoring, reverse parking camera input, music system, navigation and Bluetooth phone connectivity for calling. If interested, buyers of the Tesla-style infotainment system can opt for additional features such as a digital video recorder (dashcam input), 3D (bird’s eye view) parking camera, front proximity sensor inputs, on-board diagnostic system outputs and an advanced driving assistance system. All such features will make the Mahindra XUV500 even more loaded. The SUV is available with a 7 seat layout, and comes with two engine options, both 2.2 litre turbocharged units. The petrol engine produces 140 Bhp-320 Nm, and is paired to a 6 speed automatic gearbox, and is available as a front wheel drive model. The diesel engine, with 154 Bhp-360 Nm, is available with 6 speed manual and automatic gearboxes, with both front wheel drive and all wheel drive layouts. Prices of the XUV500 start from Rs. 12.42 lakhs.